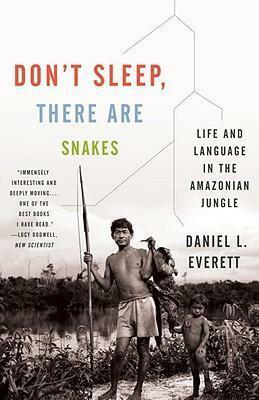 A riveting account of the astonishing experiences and discoveries made by linguist Daniel Everett while he lived with the Pirahã, a small tribe of Amazonian Indians in central Brazil. Daniel Everett arrived among the Pirahã with his wife and three young children hoping to convert the tribe to Christianity. Everett quickly became obsessed with their language and its cultural and linguistic implications. The Pirahã have no counting system, no fixed terms for color, no concept of war, and no personal property. Everett was so impressed with their peaceful way of life that he eventually lost faith in the God he'd hoped to introduce to them, and instead devoted his life to the science of linguistics. Part passionate memoir, part scientific exploration, Everett's life-changing tale is riveting look into the nature of language, thought, and life itself. "Dan Everett has written an excellent book. First, it is a very powerful autobiographical account of his stay with the Pirahã in the jungles of the Amazon basin. Second, it is a brilliant piece of ethnographical description of life among the Pirahã. And third, and perhaps most important in the long run, his data and his conclusions about the language of the Pirahã run dead counter to the prevailing orthodoxy in linguistics. If he is right, he will permanently change our conception of human language." -John Searle, Slusser Professor of Philosophy, University of California, Berkeley "Dan Everett is the most interesting man I have ever met. This story about his life among the Pirahãs is a fascinating read. His observations and claims about the culture and language of the Pirahãs are astounding. Whether or not all of his hypotheses turn out to be correct, Everett has forced many researchers to reevaluate basic assumptions about the relationship among culture, language and cognition. I strongly recommend the book." Daniel L. Everett is the Chair of Languages, Literatures, and Cultures at Illinois State University. From the Hardcover edition.